I ve been eating 100% live/raw food for a little over eight months now, and I believe it all started? well.... hmmmm? let s see. Last summer I was determined to do something once and for all about the weight that I put on since I turned 50, six years ago (well, almost seven years now ). It seemed that no matter how much I exercised or how much I ate ? or didn t eat ? nothing stopped the onslaught of impending bulk. Each year added a few more pounds until I hardly recognized myself! What happened? Who was I? Where did this strange body come from? I decided I needed to take this foreign body by the horns and wrangle it back into submission. Actually, I was gentler than that, but the determination was there. Read more: Makin' It Monday: Super Fast Mandoline Salad! Sixteen years ago today, our beautiful KDcat (now called Bailey) was born!! Happy, happy birthday to Bailey. We hope ALL your wishes come true and you continue to shine your bright light and express your creative talents for the rest of us to enjoy! Even though it's not time to share everything with you about the life-changing events going on with us here at Pure Jeevan, I'm going to try harder to squeeze in a few minutes once in a while to update this blog with other information. I miss coming here and connecting with all of you. Thank you for so many lovely emails that you've been sending to me. I will be responding to all of you very soon. Please forgive me for taking so long to respond, but once we fill you in on everything that's been going on, I think you'll understand that it's difficult to find time to keep up with email and blog writing, among other things. 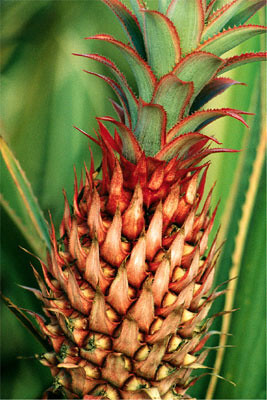 The latest news, as far as raw foods go, is that I'm having a love affair with a particular fruit. When I was transitioning to raw foods over two years ago, and also during the first few months of eating 100% raw foods, I was in love with young Thai coconuts. I couldn't get enough of them and they did some amazing things for my body---the most amazing was lowering my cholesterol to a healthy range within one month! After many months of consuming at least one coconut per day, however, my love affair ended. I still loved those Thai coconuts, but they just weren't as attractive to me anymore.